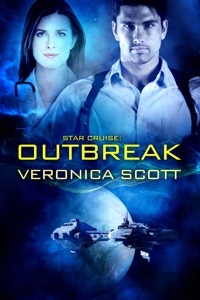 The excerpt – The guards prepare to toss Elianna into the cell with the huge alien predator. 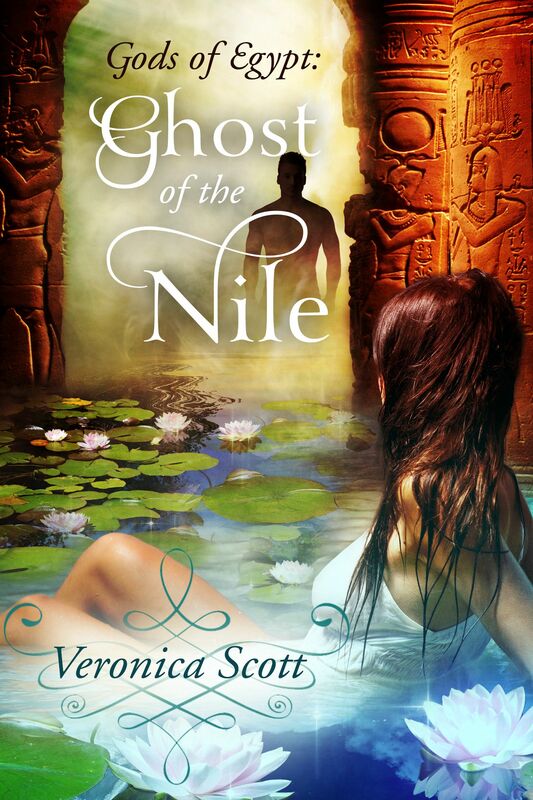 I’m happy to announce the release of my paranormal romance novel Song of the Nile! This is a standalone sequel to Lady of the Nile and features Merneith the musician and Nikare the Medjai, who readers first met as secondary characters. Cover art by Fiona Jayde. The excerpt – I skipped a little, over Elianna’s doomed attempt to escape the guards and now the officer is proceeding with his plan. What did the officer have planned for her? Following him like sheep, the guards marched her through the corridor, past empty cells of various sizes, all dark, until the procession stopped in front of the only other one showing a light. A huge feline predator was curled up in the cell, easily six feet tall and maybe fourteen feet long. Elianna shrank against her captors as the beast uncurled to snarl and roar, baring fangs as big as steak knives. Tail thrashing, the creature prowled energetically in the enclosed space. “Has he been fed today?” the officer asked in Basic as he ignored her desperate pleas for mercy. Elianna rubbed her arm and leaned against the wall of the crowded group cell. Weeks ago her ship had been taken captive by pirates. The captain had tried to offer the leader of the pirates the ship’s kidnap and ransom insurance to buy their freedom. Poor man had been killed in front of the crew for his efforts. Ever since then things had only been going downhill for Elianna and the others from the ship. Her fellow crew and the passengers had been brought to an unknown planet, and all of them were in dire trouble now. This wasn’t going to be a ransom and return situation. The aliens running the facility were arrogant and unpleasant. Ten people had been taken away first thing and put on another flyer before she and her companions were even escorted inside the building to be processed. Maybe they were the lucky ones? Keshara ignored the startled glance Gabe gave her. He probably took her comment as a betrayal, but Keshara was desperate to obtain help for him. Worry about the consequences later. “He was being chased by the Khagrish in a flyer,” Keshara added when it was plain Gabe struggled to form further words because of his worsening injuries. Keshara’s blood ran cold but the threat was idle, at least for now. The Director wouldn’t forgive Ashla killing another Badari woman without a direct command to do so, and she held the First Daughter’s figurative leash tight. Has Keshara betrayed Gabe into the hands of the enemy? “The Great Mother called me to leave the Retreat and be in the right place to assist Gabe,” Keshara said. Not only did she believe this in the core of her own being, she knew Ashla was a devout believer in the goddess and her commands, although if Keshara was pressed on the point, she feared Ashla placed the Director above the Great Mother. “Human,” he said with difficulty, obviously uncomfortable at facing a threat from a prone position but unable to rise. The excerpt – I’ve skipped over some of Gabe and Keshara’s journey toward her home, known as the Retreat. Now they’ve run into the people sent to bring her home. Be warned – the First Daughter is very angry. The message whispered in her head, sent by Palinna, her closest friend among the sisterhood. She squeezed his hand and rose to greet the newcomers. First Daughter Ashla walked up to her and slapped her across the face with so much force Keshara fell to her knees. No resistance, she told herself, touching her bleeding lip gingerly – Ashla was addicted to beating others into submission but, if no resistance to her blows was offered by the victim, she was less likely to fall into a frenzy. For the first time, Keshara found herself seriously considering what the outcome would be if she challenged the First Daughter to a fight, instead of meekly accepting whatever discipline the other woman meted out. The concept was so novel, she caught her breath and dodged Ashla’s next blow. “To make my choice?” There was no answer to his question and he made an impatient sound, striding away from where Keshara slept on. The closer he came to plunging into the mist between the trees, the stronger the desire to hurry onward became. Gabe thought he saw a bright white light in the distance beyond the fog and was anxious to reach the safety the light seemed to promise. He hesitated, unable to resist a last look at Keshara. His heart skipped a beat and settled into a jangled, thumping rhythm as his gaze lingered – there was a pull here as well, drawing him to her side and away from the beckoning bright light. The ground rocked underneath him and Gabe awoke with a gasp, as if he’d stopped breathing for a time.